This week, the oil and gas giant Shell took a positive step toward addressing methane emissions. 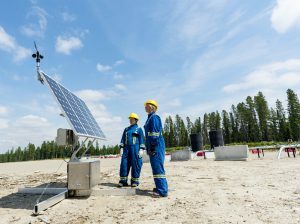 The company announced a new technology trial at a wellsite in Alberta, Canada, where it is piloting a specially designed laser to continuously monitor emissions of methane, a powerful pollutant known to leak from oil and gas equipment. The move by Shell is a glimpse into the future and demonstrates growing market interest in smart, sensor-based methane detection technology. Shell’s project joins a similar field test already underway in Texas, operated by the Norwegian producer Statoil, and a California utility pilot run by Pacific Gas and Electric Company. Each of these deployments is promising, but the ultimate test will be broad-scale adoption of innovations that generate actual methane reductions. For industry, there is an incentive to move ahead. An estimated $30 billion of natural gas (which is largely methane) is wasted every year due to leaks and flaring from oil and gas operations worldwide. In addition, roughly 25 percent of global warming is driven by methane. Oil and gas methane emissions also contain chemicals that adversely affect public health. For these reasons, methane is a problem that has caught the attention of regulators, investors and consumers alike. Advancing new technologies to enable the oil and gas industry to tackle this challenge more efficiently is key, even as companies use established tools to manage emissions now. When you bring the right people to the table, innovative solutions will follow. Behind the Shell, Statoil and PG&E demonstration projects is a collaborative initiative, the Methane Detectors Challenge, begun by the Environmental Defense Fund four years ago. The project united eight oil and gas companies, R&D experts, and technology innovators in an effort to accelerate the development of next-generation methane detectors. The formation of this project was motivated by a key insight: new technology to manage emissions needs to be created and deployed faster than ever. The Methane Detectors Challenge offers a unique resource to innovators – access to real facilities and collaboration with potential customers – which is essential to help entrepreneurs understand the market, demonstrate demand, and ultimately achieve economies of scale. Both the Statoil and Shell pilots are using a solar-powered laser, created by Colorado-based Quanta3. The technology uses the Internet to provide real-time data analytics to wellsite managers via mobile devices or web portals. The oil and gas industry has a lot to gain from smart methane sensors that can prevent the loss of valuable product and reduce pollution. Imagine a future where continuous leak detection systems allow operators to digitally monitor methane emissions occurring across thousands of sites. It’s a game-changer on the horizon. The burgeoning field of continuous methane monitoring offers a range of possibilities – including technologies capable of identifying emission spikes in real-time, allowing operators to cut mitigation time from months to days. Over time, smart sensors on wells may even help predict and prevent leaks and malfunctions before they occur. The methane-sensing laser deployed by Shell and Statoil is one of many technologies in the emerging methane mitigation industry. 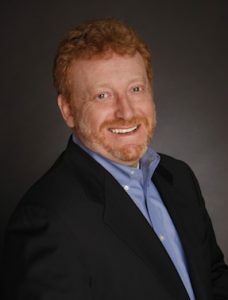 In North America alone, more than 130 companies provide low-cost methane management technologies and services to oil and gas customers – a number likely to expand as innovators innovate, pollution requirements tighten, and producers increasingly appreciate the urgency of dealing with methane to maintain their social license to operate. Smart automation technologies are already being used across the oil and gas industry to improve operating and field efficiencies. Continuous methane detection technology is the next logical step, which has the potential to provide significant economic, environmental and societal benefits. The Shell pilot is a milestone to celebrate and we recognize the company for its early leadership. Now, we need governments and industry to show the determination needed to meet the methane challenge head-on. Sustained leadership is a prerequisite. But the keys to solving this problem are smart policies that incentivize ongoing innovation, and clear methane reduction goals—supported by technologies like continuous monitoring. Institutional investors worldwide are increasingly encouraging oil and gas companies to improve and disclose their management strategies to minimise methane risk. Methane – an invisible, odorless gas and main ingredient in natural gas – is routinely emitted by the global oil and gas industry, posing a reputational and economic threat to portfolios. Natural gas is widely marketed as a low-carbon fuel because it burns roughly 50 percent cleaner than coal. But this ignores a major problem: methane. Natural gas is almost pure methane, a powerful pollutant that speeds up Earth’s warming when it escapes into the atmosphere. Last month marked a significant milestone in investor action on the methane issue. The Principles for Responsible Investment (PRI) launched a new initiative representing 30 investors and $3 trillion in assets that will engage with the oil and gas industry across five different continents to improve its methane management and disclosure practices. The PRI initiative complements existing methane engagement efforts focused on the US led by the Interfaith Center on Corporate Responsibility and CERES. 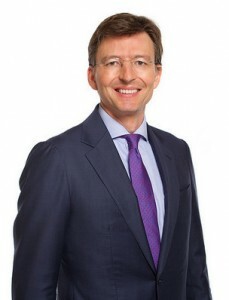 EDF Senior Manager Sean Wright recently sat down with Sylvia van Waveren, a Senior Engagement Specialist with Robeco Institutional Asset Management (Robeco), a Dutch-based investment firm managing over $160 billion, to discuss the matter and understand why some investors are keen to affect the status quo on methane. Wright: Why is methane a focus of your engagements? What do you see as the risks of unmanaged methane emissions? van Waveren: Methane is one of the most important drivers of engagement with the oil and gas industry. We invest in oil and gas companies worldwide. A year ago, we started engaging them, specifically on climate change – and within that the methane issue is included. In the past, methane was viewed as a U.S. shale gas issue, but more recently it has become important in Europe as we learned that methane is a powerful greenhouse gas. So in that sense, we learned a lot from the U.S. discussions and we still do. I would like to stress that we see the methane issue more as a business opportunity than a risk. What we often say to companies is that methane is a potential revenue source. It would be a waste if companies do not use it. Wright: The scope of PRI’s initiative is global, with investors from 3 different continents as far away as Australia and New Zealand, and a plan to engage with companies from the Latin America, Europe, North America and Asia-Pac. What does this level of global collaboration convey about methane emissions? van Waveren: I am happy and it is good to see that others have taken up the seriousness of this issue, as well. Methane is no longer a U.S. only problem. The issue is being raised and discussed in all kinds of geographies. I’m a firm believer in collective engagements. They can be a powerful force when the issue is not contained within borders. That is the case with greenhouse gases. So yes, I’m happy to see the PRI initiative taking off and I am an active believer in getting this solved and bringing attention to this subject. Wright: In your conversations thus far with companies about methane, what resonates best when making the business case for improving methane management and disclosure? van Waveren: When we talk about motivation at the company level, I have to be honest, it’s still early days. The European companies are talking in general terms and just now conceptualising methane policies. If we’re lucky, they have calculated how much methane is part of their greenhouse gas emissions. And if we’re more fortunate, they are producing regional and segregated figures from carbon, but it’s really very meager how motivated the companies are and what triggers them most. I really feel we should emphasise more with companies to get them motivated and to really look at the seriousness of methane. One issue that is particularly bothersome is that many companies do not know how to calculate, estimate and set targets to reduce methane. It is still a mystery to many of them. That’s why we come in with engagements. We need to keep them sharp on this issue and ask them for their actions, calculations and plans. Wright: Who are other important allies that have a role in solving this problem, and why? We rely very much on our knowledge that we get from within the sector. We review data analyses and make intermediate reports of scoring. We find best practice solutions and we hold companies accountable. There are also times when we name names. So in that sense, that is how engagement works. 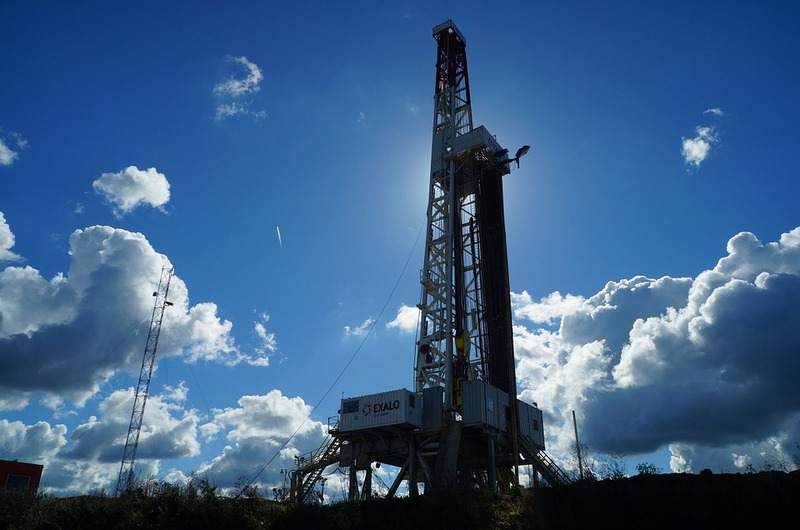 The data providers and other organisations with good knowledge and good content on methane – and EDF is certainly one of them – are very instrumental to get the knowledge that we need. Wright: Can you give me an example of a widespread financial risk facing an industry in the past that was proactively improved by investors leading the charge – similar to this initiative? van Waveren: More than 20 years ago, we had a greenhouse gas issue – acid rain. Investors helped solve that problem. Because of this, I’m hopeful that investors can also play a positive role in reducing methane. Wright: Thank you, Sylvia. We really appreciate your time and your thoughtful answers showing how investors can be part of the solution on methane. may be little known, but it could revolutionise electricity markets. he transactions are secure, authenticity and identity are maintained through cryptography and digital signatures. Bitcoin – perhaps the most-recognised blockchain application – already is challenging conventional money exchangers. According to Cambridge University researchers, almost 6 million people use this cryptocurrency in order to make electronic peer-to-peer transactions without an intermediary such as a bank. And because blockchain technology is decentralised and accessible from multiple locations, Bitcoin funds can’t be frozen, withheld, seized, or taken. When it comes to electricity, blockchain could offer a reliable, rapid, and low-cost means to record and validate financial and operational transactions. These transactions could include selling and buying electricity – again without an intermediary, in this case the incumbent utility monopoly. In light of the rapid rise of distributed (decentralised) energy resources like batteries and solar panels, some analysts even believe the market for blockchain applications is significantly larger in the energy sector than for financial services. Blockchain could serve as a backbone technology for electricity markets based on multiple sellers and buyers, or peer-to-peer transactions. This type of market stands in contrast to tradition: “The old system of a few big power plants and vertically-integrated utilities didn’t really need blockchain,” says Michael Liebreich, chairman of Bloomberg New Energy Finance. But the new, evolving energy system – which gives people more choice and control over their electricity use and costs – could take advantage of the disruptive technology. German electric utility RWE is testing a blockchain application for charging electric vehicles. Vattenfall AB, the largest Nordic utility, plans a blockchain app that would enable customers to buy and sell power independently of the utility. 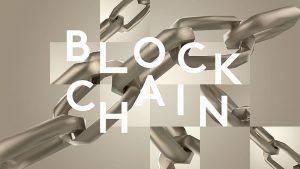 Austria’s Wien Energie, is participating in a blockchain trial focused on energy trading with two other utilities. Grid Singularity, a startup firm in Austria,is using blockchain technology to validate electricity trade and monitor grid equipment. In the United States, Brooklyn residents are testing blockchain technology to buy and sell solar energy. Who will take most advantage of blockchain remains an open question when it comes to electricity markets. The ability to trade electricity could increase substantially the power of customers, as well as grid flexibility and efficiency. Blockchain also could enable customers to easily switch to electricity suppliers with better offers. For example, Electron and Data Communications Company have a platform that enables British customers to sign up to a new seller within a day. Businesses also may benefit. For instance, a factory with solar panels could sell its excess electricity to another manufacturer. So, on one hand, the technology’s ability to circumvent a central point of authority – aka, the utility – suggests individuals and companies will safely and quickly exchange energy services, eliminating a key portion of the utility’s business and revenue. Blockchain likely will face opposition from entrenched utilities, and regulators will want to ensure the platform is safe and reliable. Diverse stakeholders in electricity markets also will need to establish common industry standards. Yet as more stakeholders consider grid modernisation and new utility business models, this disruptive technology suggests innovative models and approaches for delivering efficient, reliable, affordable, and clean energy. Nasa recently announced the discovery of a solar system with seven earth-sized rocky planets, three of which could potentially sustain life. Interesting news, but at 235 trillion miles away, no one is going there soon. In the meantime, we need to look after our only home. We must protect ourselves from climate change. Our fate turns on a race between physics and politics. The physics of climate change is off and running—we’re not sure how fast, and we don’t truly know the end point. But we do know that in the last century, dramatic increases in fossil fuel burning and changing land use began fundamentally changing the composition of the atmosphere. Warming has already raised sea levels, caused ocean acidification and coral reef bleaching. It contributes to depleted biodiversity, droughts, mass migration and extreme weather events including recently extreme high temperatures in the Arctic, heatwaves in Australia, drought in Bolivia, famine in north east Africa, flooding in the United States. As for the politics, even before Donald Trump, our response had been too slow. The most instructive single metric is the parts per million (ppm) of greenhouse gases in the atmosphere, which not merely continues to increase, but to accelerate. Over the last 50 years the average increase was 1.7 ppm; in the last five 2.5 ppm. We need to up our game. In 2015, it seemed possible to hope after the world came together to tackle climate change in Paris, helped by a newly positive US approach. Then last year, the prospect of a Trump presidency galvanised countries to ratify in record time. The Paris Agreement included a clear statement: in the second half of this century, all man-made emissions of greenhouse gases must be reduced to zero or be captured and stored. It falls to our generation to make this happen. The difficulty is we must do so through national politics, which find it hard to deal with threats that straddle borders and have an inbuilt time lag so that consequences only unfold in the distant future. The charge that other countries are free-riding is always a powerful excuse for inaction. And that has even more sting now that Trump has begun rolling back domestic environmental protections, and suggesting he may even withdraw the US from the Paris Agreement. But is Paris, and the multilateral spirit it embodies, really doomed? The UK’s Climate Change Act demonstrates the multilateral merit in setting a unilateral example. A recent report by the Grantham Institute lists over 800 climate change-related laws now in place in 99 countries. Most recently, Sweden published legislation setting a net zero target by 2045, citing the UK’s climate act as its model. Thankfully there are also signs that much of the rest of the world—most importantly China and India—will stick to their efforts to begin to decarbonise and the EU Commissioner during his visit to China this week emphasised the importance of continued EU-China collaboration and leadership. With 2016 on pace to be the hottest year ever recorded, it’s never been more urgent for countries to work together to protect our climate. Europe, with its long history of climate leadership, has a pivotal role to play in driving the next wave of efforts. European leadership was central to achieving the historic Paris Climate Agreement, as well as recent breakthrough agreements on carbon dioxide emissions from aviation and hydrofluorocarbons (HFCs) in refrigerators and air conditioners. But there is one critical climate opportunity still to be taken on in Europe, and that’s methane – one of the biggest levers we have today to slow the rate of warming. Methane is a powerful greenhouse pollutant, over 80 times more powerful than carbon dioxide during the first 20 years it hangs around in the atmosphere. In fact, scientists say methane accounts for around 25% of the warming experienced today. Accumulation of CO2 in the atmosphere determines the amount of warming our planet will experience; reducing it now lowers the chance of long-term catastrophic climate change. Cutting methane affects the rate of warming, decreasing the probability of intense heat waves and slowing rapid sea level rise. That’s why an effective climate strategy requires action to reduce both carbon dioxide and methane. Natural gas is mostly methane, and globally the oil and gas sector is one of its largest contributors. Curbing methane across this industry is also the single biggest, most affordable opportunity to eliminate a sizable chunk of these emissions. Across the supply chain, tens of millions of tons escape each year. In 2012, the industry leaked as much methane as was produced by Norway, the world’s seventh largest producer. Losses would be higher if they included wasted gas now burned off in flares rather than put to productive use. A recent study concluded that methane from fossil fuel development is up to 60% greater than previously estimated. This mirrors new measurements in the United States that strongly indicate the same. Without action, experts say, emissions will climb by more than 20% worldwide by 2030. Natural gas is widely marketed today as a low-carbon fuel, emitting roughly half the carbon dioxide of coal when burned. But that ignores the methane problem. Consequently, whether gas can truly be seen as a greener substitute for coal and oil remains in question until the methane that is emitted is fully measured, regularly monitored and significantly reduced. If the world were to cut oil and gas methane emissions by 45% by 2025, as the United States, Canada and Mexico recently agreed to do, it would have the same climate benefit over 20 years as closing one-third of the world’s coal plants. The International Energy Agency says oil and gas methane emissions are among five key pillars to reduce global greenhouse emissions. Fortunately, there are cost-effective strategies to reduce these emissions, creating important opportunities for countries and companies trying to meet their greenhouse-gas goals. Curbing oil and gas methane requires little in the way of new capital or fundamental changes in business practice. Often, it’s as easy as tightening valves and repairing leaks. In places like the state of Colorado, where industry reductions are required, companies are finding that the benefits outweigh costs of regularly checking for leaks. Europe is a central player in the global oil and gas industry. Four of the world’s top 15 gas-producing corporations are headquartered in Europe, with the continent producing 8% of the world’s natural gas. Presently, Europe is the largest gas importer, globally, and the IEA predicts the continent’s gas to rise over the next decade. For its emissions, official inventories rank total EU oil-and-gas methane higher than those reported for Iran or Saudi Arabia. In May, the five Nordic states committed to developing a global target to reduce oil and gas methane. It’s a step, but we need greater European ambition to seize the full climate benefit offered by reducing methane emissions. European companies have begun engaging more in the methane challenge. BP, Engie, ENI, Repsol, Statoil and Total have all expressed concern about methane. They’ve started surveying parts of their operations for emissions and disclosing that information. But so far only a few European companies have an action plan to reduce their global methane emissions, and none have specific reduction targets. All of them should be doing both. Likewise, European nations inside and outside of the European Union should revise and implement national standards for oil and gas methane and incorporate measures into commitments for achieving the greenhouse reductions agreed to in Paris. And while Europe’s data suggest that its oil and gas methane emissions have declined, studies have shown such estimates to routinely undercount emissions. 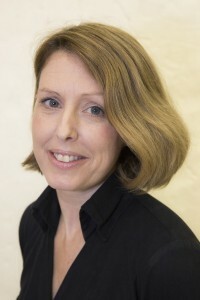 Europe could also be instrumental in developing a worldwide oil and gas methane goal, building on the Nordic commitment and cultivating support in other parts of the world, similarly to how it led the international community in setting limits on global aircraft and refrigerant industry emissions. In a world where we are looking for every available tool to reduce greenhouse gas pollution and stay below dangerous climate thresholds, we can’t afford missed opportunities. Europe can affect real change in the oil and gas industry and reduce methane emissions, showing once again that it can propel a global community forward on climate solutions. This article first appeared on The Economist Perspectives blog, which can be viewed here. On 20 July, the European Commission published two proposals for regulations dealing with emissions outside the EU Emission Trading Scheme for years 2021-30. After the summer break at the European Parliament, this week we learnt the names of rapporteurs and committees members who will be responsible to take the proposals through the legislative process. The new for mechanism setting emissions budgets, known as the Effort Sharing Regulation (ESR), will require Member States to cut their emissions from transport, buildings, agriculture and waste sectors and other sources of non-CO2 greenhouse gases. Besides that, it will newly cover emissions from land use, land use change and forestry (LULUCF). Unlike the previous emissions budget regulations in Europe that allowed lower income Member States to actually increase their emissions, the ESR will require all countries to reduce their emissions compare to 1990 levels (apart from Bulgaria who can, as the country with lowest GDP per capita in the whole Union, keep their emissions at the same level as in 1990). The shared target is a 30% reduction of non-ETS emissions but the individual targets and reduction trajectories differ among Member States according to their wealth and emission levels between 2016-18. Our analysis (attached below) shows that a key determinant of whether the EU is able to meet these new targets is the degree to which additional action is taken in relatively rich, big emitting countries such as Germany. The new proposal includes flexibilities used in the past (such as trade between countries) and adds a couple of new ones, specifically an option for some Member States to transfer a part of their allowances under the EU’s Emissions Trading Scheme into ESR, and an opportunity to claim extra allocations from LULUCF removals and use them to compensate emissions from other sectors. We have prepared a short briefing report summarising these proposals and highlighting the key areas of interest. The document can be downloaded here: ESR briefing report. This week in the UK, a statutory instrument setting an emissions limt 57% below 1990 levels, for the period 2028-32, passed into law. The fact that the Government announced the carbon budget that enacts this limit on June 30th, one of the most extraordinary days of one of the most extraordinary weeks in British politics, is a testimony to the strength of the UK’s Climate Change Act, which provides a legal metronome for climate action in the UK, whatever the political circumstances, even when they are so all consuming. The Climate Change Act is a flexible, long term, technology neutral approach to climate mitigation that can bend so as not to break. The 5th carbon budget is, in essence, the UK’s own Paris target, covering the same time period as the European Nationally Determined Contribution. Also this week, I wrote to congratulate the RT Hon Greg Clark MP, the new Secretary of State for the Department of Department of Business, Energy and Industrial Strategy (BEIS) and asking him to demonstrate the UK’s continued commitment to climate change, domestically and internationally, by initiating the legal ratification process the Paris Agreement in the UK. For the Paris Agreement to come into global effect, 55 countries, representing 55% of global emissions need to legally ratify it or otherwise join. Our recent analysis shows the world is tantalisingly close to reaching these thresholds, with countries representing 54.4% of global emissions (against a target of 55%) currently expecting to ratify by the end of 2016 (as illustrated in this briefing: EDF Europe Paris Agreement Briefing). The UK is responsible for 1.5% of global emissions, so the UK would tip the balance and leadership on the issue could make all the difference, bringing many tangible benefits, both here and globally including ensuring our efforts are matched in other countries and securing new markets for exports of climate change beating goods and services. I asked the Minister when the UK will ratify the Paris Agreement and she replied: “I can confirm that this Government remain committed to ratifying the Paris agreement, which was agreed last year by 195 countries, as soon as possible.” The process of ratification is not a lengthy or complex one. Once tabled, a simple statutory instrument becomes law after 21 sitting days. For a fuller explanation of why and how UK can play a leading role in the next stage of the historic Paris Agreement’s progress please read our short briefing (EDF Europe Paris Agreement Briefing). There is no reason to delay and, given we have now set our own targets into law, many good reasons to begin the process as soon as Parliament resumes in September. You can also read full coverage of the Carbon Budget debate and a transcript of my speech online here. 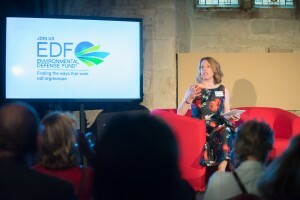 On Monday night, Environmental Defense Fund Europe welcomed guests to its launch event at the historic venue of Guildhall in London. Hosted by Baroness Bryony Worthington, Executive Director of Environmental Defense Fund Europe, the evening provided an introduction to our organisation, its work and its team followed by a lively discussion of how we will achieve change in Europe. 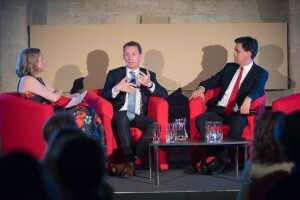 “Whatever the political situation in the UK and Europe, I’m looking forward to moving the needle on a range of issues, from fisheries reforms to tackling climate change,” Bryony Worthington told guests before hosting two panel discussions. The evening concluded with a stunning performance by Bishi, who performed two songs and lit up Guildhall with an incredible visual display. 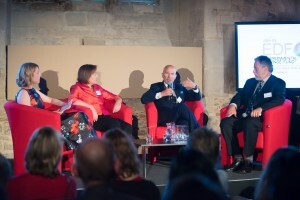 The event took place during Climate and Business Week in London. 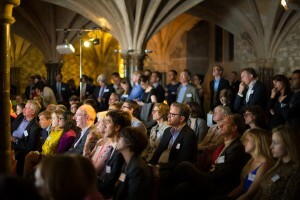 Bryony Worthington and Environmental Defense Fund Europe would like to express their gratitude to all those who helped with the event and attended. Special thanks also go to the High Meadows Foundation for sponsoring the event and CHI&Partners for producing the film which was shown at the start of the evening. 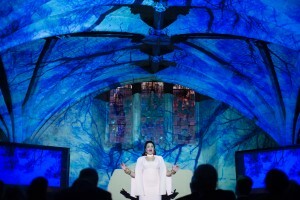 Thanks also go to Bishi, Matt Harden for the visuals and the Bowfins for the further musical accompaniment. 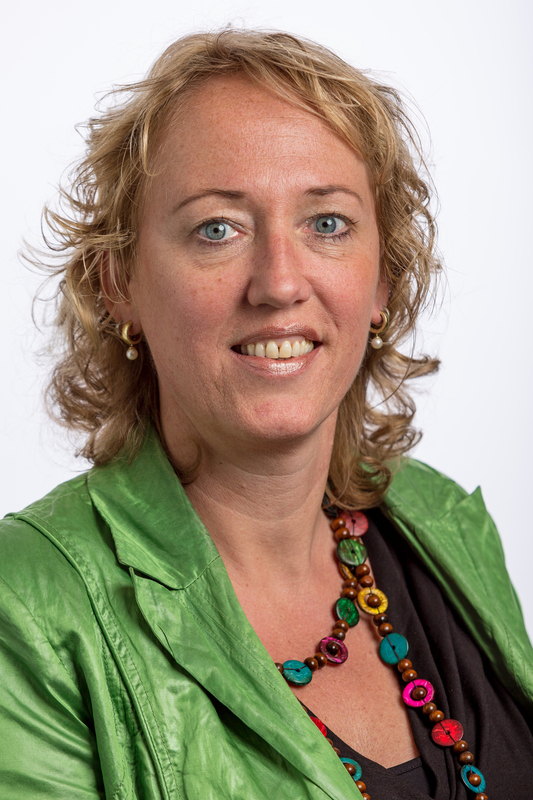 March 16, 2016 — Bryony Worthington recently joined EDF to lead our work in Europe, which focuses on marine fisheries and clean energy. By many measures humanity has never had it so good. Development of the earth’s natural resources has delivered higher living standards for a larger number of people than ever before. We feed, clothe, shelter and maintain the health of more people more successfully than ever before. Elements of this progress, however, have come at an obvious cost to the natural systems that support all life. Left unchecked, our lack of attention to these systems could not only harm the environment but also reverse much of what we have achieved for humanity. Despite our progress, we are currently facing an evolutionary bottleneck and there is no turning back. We must find a way forward that sustains human prosperity and environmental progress. The good news is, we’re making progress in working out what we need to do and how to do it. The nations of the world have recognized the need to act together to address the risk of climate change and many are already taking action to relieve pressure on the natural world. The age of digital information has connected individuals to each other and to up-to-the-minute data about our environment, and it has done so just in time: Seeing our environmental challenges more clearly builds our sense of urgency as well as our ability to do something about them. I’ve spent my career advocating environmental solutions, and this week I start a new phase, as the head of Environmental Defense Fund in Europe. I’m delighted to be joining an organization that has a remarkable history of accomplishment across five decades. Combining rigorous in-house scientific, economic and legal analysis with the goal of ‘finding the ways that work,’ Environmental Defense Fund has helped win a great many battles to preserve the natural world: banning DDT in the United States, thereby saving the bald eagle and other great American birds of prey; removing lead from petrol; using cap and trade to cut acid rain pollution from power plants and save the lakes and forests of the northeastern U.S.; reducing overfishing by promoting rights-based fisheries management; putting in place wildlife-friendly land management policies and low-carbon energy investments; and, most recently, leading an ambitious series of peer-reviewed scientific studies and partnerships with energy and technology companies that have helped expose the problem of methane leaks from oil and gas infrastructure. Environmental Defense Fund has always been at the cutting edge of evidence-based advocacy, not afraid to try new approaches and take risks if the potential environmental benefit warranted it. For example, it was the first NGO to successfully partner with brands like McDonald’s, FedEx and Walmart, helping them bring about huge changes in their operations and supply chains. (And to remain independent, it does not accept funding from its corporate partners.) Its focus on science and data means it has avoided becoming bound by a rigid ideological belief system. And it has remained resolutely nonpartisan, ready to work with governments and stakeholders across the political spectrum. While Environmental Defense Fund works closely with many NGO partners, the combination of strengths it brings to the table is unique. I am proud to be helping to introduce the organization in Europe, because I believe it can complement the remarkable work already being undertaken here. Historically, Europe has made great progress addressing environmental problems. But there is so much more to do. We in Europe are still learning from our experiences of what works and what doesn’t. We’re developing a knowledge-based economy and delivering innovation in technologies and services, but we remain dependent on a highly capitalized fossil-fuel infrastructure and the ‘traditional’ ways of doing things. I’m looking forward to using my experiences in the public, private, political and not-for-profit sectors to increase the pace of change here across a wide range of environmental issues. I’ve always been a campaigner and will always remain one. Joining Environmental Defense Fund is an exciting new opportunity to make an even greater difference. The green shoots of a new era of environmental responsibility are emerging – our job is to help them develop firm roots and flourish.